As a professional, it is important to continue your own education to stay current on diving trends and to increase your knowledge. Continuing education programs will directly benefit you in two ways; first you will increase your employability, and second, allow you to earn additional income as a speacialty instructor. Northwest Scuba offers Instructor Level Continuing Education Programs to suit all of your career goals. Save time and money by taking a MSDT Preparation Course. When you take you Specialty Instructor Training with a PADI Course Director not only will you gain hands on training and experience, you only need 10 logged dives in each area to apply for that Specialty. You can also begin teaching Specialties as soon as you have net the requirements. 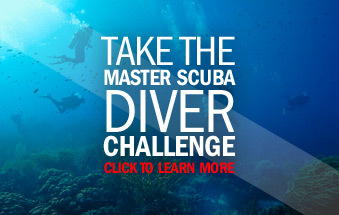 Note: MSDT Preparation pricing includes dives from a list of predetermined PADI Specialty Instructor Courses. Training for certain Specialties such as the PADI Enriched Air Specialty Instructor and PADI Equipment Specialty Instructor is additional. Note: Specialty Instructor Outlines not included, comes in your IDC crew pack.